Singapore is the highest ranking Asian city and the only one in the top five of Knight Frank’s new City Wealth Index, released on March 7 by the global property consultancy as part of The Wealth Report 2018. The ranking criteria includes a city’s current wealth, investment, lifestyle, and future economic performance. Singapore’s position in the fifth spot reflects its strong performance across all four criteria, with an impressive showing in lifestyle, which is considered increasingly important by the international community, says Nicholas Holt, Knight Frank’s Asia-Pacific head of research. Singapore is also the fifth most expensive city to buy prime residential property, according to Knight Frank. US$1 million ($1.31 million) can buy just 39 sqm of prime residential property in Singapore. However, this more than double the 16 sqm the same amount would buy in Monaco, the most expensive city. 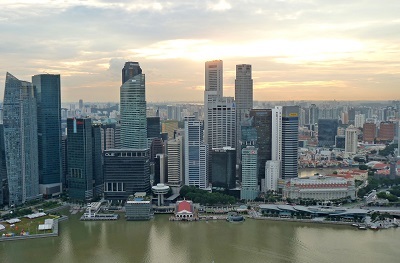 The report also found that Singapore investors allocate about 35% of their portfolio to property – excluding primary residences and secondary homes. This is lower than Hong Kong investors who allocate 47% of their portfolio investment to property. About 39% of Singapore investors are thinking of buying an investment property in Singapore in the next few years, while 30% are thinking of buying overseas investment properties.